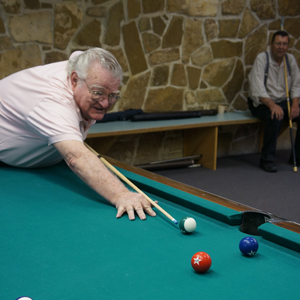 In the Bonnie Dallas Senior Center dining facility, 109 E La Plata in Farmington, there are billiard tables with chalk and cues for use. It is a great place to socialize and have fun. Hours of operation: Mon—Friday 8:00am— 4:00pm & Sat. 10:00am—3:00pm.